Sure, minivans get a bad reputation for being “uncool” and maybe even sometimes “dorky,” but they really are an all-in-one vehicle that is perfect for families with children or drivers who need a ton of cargo space for hauling around bulky luggage. 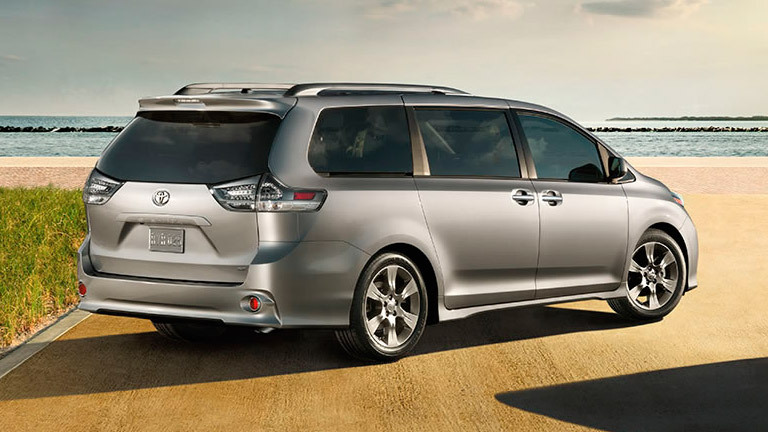 As the original Swagger Wagon the Toyota Sienna has earned its top-ranking spot among other minivans in the automotive industry and year-over-year continues to offer drivers fun and innovative options to keep things fresh and entertaining. For example, for the new model year, the 2015 Toyota Sienna Brampton ON comes in nine fun colors, is available with two sunroofs and comes with lounge-style seating. As far as finding a vehicle families love and trust, that can be a somewhat vigorous process because the vehicle not only needs to earn the approval of the driver and parents, but also the passengers who may or may not be children looking to be entertained. Toyota knocked it out of the park, though, with the 2015 Toyota Sienna minivan because it comes with a ton of really cool features that drivers and passengers of all ages will love. A few of our favorites include a dual-view Blu-ray Disc playing system, Bluetooth connectivity, available navigation, a speaker system that makes it easier for back-seat passengers to hear the front-seat driver and passenger and so much more. 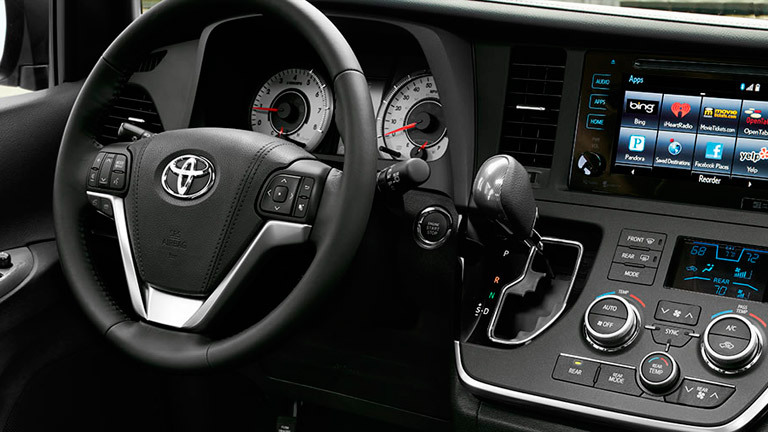 See all of the available features today at Attrell Toyota and customize your own 2015 Toyota Sienna! Spacious, sleek and sophisticated, the 2015 Toyota Sienna is one of those vehicles that is so versatile that any driver or passenger could have fun. It is a great vehicle for getting around town, running errands, taking road trips, carpooling or taking the kids to practice. It has up to nearly 40 cubic feet of cargo space and a power liftgate, which makes getting your cargo in and out a breeze no matter what is going on. There are a number of other reasons to get the 2015 Toyota Sienna, but we would run out of room and breath to tell you about all of them! You can come to Attrell Toyota today to check out our inventory and even set up a test drive! Figure out what color you like best and take it out for a spin. Trust us, we think you’ll fall in love.